A Mizoram NGOs body announced on Friday that it would boycott the Republic Day celebrations in the state on Saturday in protest against the Citizenship (Amendment) Bill. 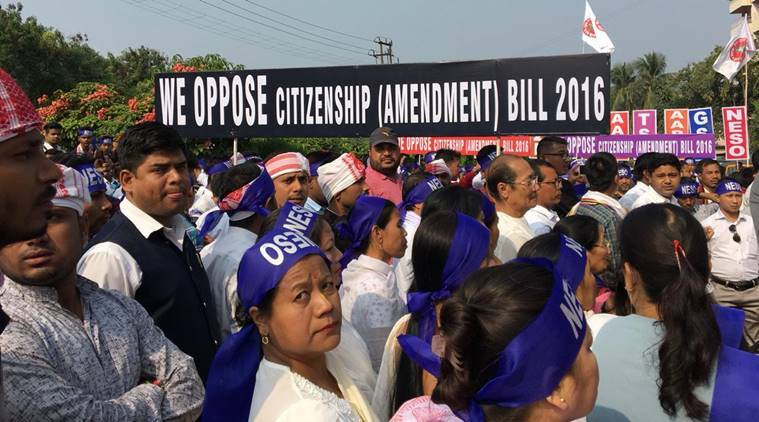 “The NGO Coordination Committee (NCC) would go ahead with its previous decision to boycott the Republic Day celebrations in Mizoram on Saturday to protest the passing of the Citizenship (Amendment) Bill in the Lok Sabha earlier this month,” NCC chairman Vanlalruata said. On Thursday, state home minister Lalchamliana urged the NCC to refrain from boycotting the celebrations. Vanlalruata said that NCC leaders met Prime Minister Narendra Modi, union home minister Rajnath Singh and officials of the Joint Parliamentary Committee (JPC) last year and demanded that the Bill not be passed. “The boycott is to draw the Central government’s attention to our demand,” he added. While addressing an event on Thursday, chief minister Zoramthanga threatened to sever ties with the North East Democratic Alliance (NEDA) if the Centre does not withdraw the Bill. The state’s ruling Mizo National Front party is a constituent of the Bharatiya Janata Party (BJP)-led anti-Congress alliance NEDA. Besides MNF, the BJP’s electoral partners in Meghalaya, Tripura, Assam and Manipur have also opposed the legislation that was passed in the Lok Sabha on January 8. It seeks to grant citizenship to migrants from six non-Muslim minority groups from Bangladesh, Pakistan and Afghanistan.